News that Nigerian businessman and Clinton-associate Ronald Chagoury runs an offshore shell company comes as no surpise. Nigerian businessman Ronald Chagoury is the latest African name to show up in the Panama Papers. 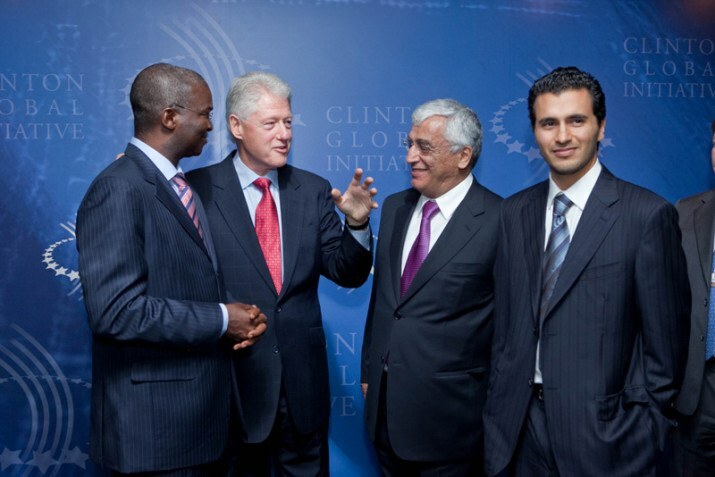 A close associate of Hillary and Bill Clinton, Chagoury runs the Chagoury Group with his brother Gilbert from their headquarters in Lagos. The Chagourys are the major figures behind Eko Atlantic, Lagos’ plans to build an African Dubai on reclaimed land off Victoria Island. This multinational conglomerate has its hands in a wide range of industries including construction hospitality and milling, mostly in Nigeria. According to the Panama Papers, Ronald Chagoury is the main shareholder of Echo Art Ltd., a Mossack Fonseca managed company registered in the British Virgin Islands. The revelation come from a McClatchy newspapers article called Inside Panama Papers: Multiple Clinton connections. The article connects the dots between associates of Bill and Hillary Clinton and the leaks, which contain correspondence between the Panamanian law firm Mossack Fonseca and its clients. The firm sets up offshore companies typically as a method to hide revenue from tax authorities. Unfortunately, because of the way the Panama Papers are being revealed to the world—through a handful of major newspapers—most of the revelations so far seem to be filtered through an American or European lens. This means information about Chagoury and other business leaders who are taking illicit money off the continent are only coming out in the context of how it impacts the American presidential race. Where does that leave the rest of the world? Waiting as usual. The brothers were associated with Nigerian dictator Sani Abacha, who died in 1998, and did business with Glencore and Rich, according to news reports. In 2009, the Chagoury Group pledged $1 billion in coastal erosion projects to the Clinton Global Initiative, an offshoot of the foundation, according to the initiative's website. The Chagoury Group is building Eko Atlantic, a peninsula city adjacent to Lagos that will be reclaimed from the Atlantic Ocean. The company’s website cites the Clinton Global Initiative’s praise for it as an “environmentally conscious city” under construction. Gilbert Chagoury’s ties to the Clintons stretch back years. He has given to Bill and Hillary Clinton’s campaigns and has donated between $1 million to $5 million to Clinton Foundation, foundation records show. In 2003 he organized a trip to the Caribbean where Bill Clinton was paid $100,000 for a speech.